Don A. Eilbott has been representing clients in Little Rock and throughout Arkansas for more than 40 years in all cases of real estate and civil litigation. Practicing since 1974, Don A. Eilbott has built a respected firm successfully fighting cases for businesses and individuals. 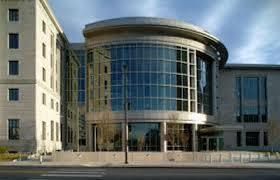 He has the courtroom skills, litigation experience and real estate expertise to successfully handle your case. If you have a problem with the title to your property that results in you being unable to market your property, let him resolve the problem for you. If you need document preparation, representation in a real estate dispute or any type of litigation or real estate problem, Don A. Eilbott- Attorney, PLC is ready to assist you. Superior Client Service– Don A. Eilbott has been providing personal attention to each client and case for more than 40 years. He takes pride in being readily available to his clients in person, by phone or email. Immediate response is his way of business. Specialized Knowledge– Don A. Eilbott has developed a deep and broad background of knowledge and skill. He has appeared in Court in most of the 75 counties in Arkansas and in all Arkansas federal courts, both district courts and bankruptcy courts. 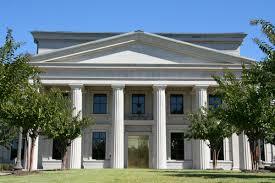 Using his experience and knowledge of Arkansas law and courts he is able to identify the best strategy. Don A. Eilbott – Attorney at Law, PLC is prepared to represent businesses and individuals in all cases involving real estate and all other types of civil litigation. Title insurance companies, Realtors, and real estate developers in need of help with litigation, transaction representation, document preparation and review regularly contact Don A. Eilbott to be their lawyer in Arkansas. Contact Arkansas real estate and litigation attorney for a consultation. Call Little Rock attorney Don A. Eilbott at 501-225-2885 or contact us online for an initial consultation.